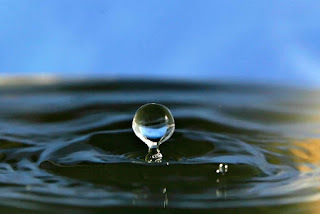 March 22nd is World Water Day. We can eat all the best foods for our bodies to be healthy. to grow those healthy foods. World Water Day is recognized world wide. Since 1993, the United Nations has set themes for the message it wants to let the world know about the importance of clean water. and nearly all jobs depend on water and it's safety. live without access to clean water. Many live right here, like Flint, Michigan, and numerous other cities nationwide. To help do your part check out: Raincatcher.org. Here's a great article on one of many reasons why we should opt for a plant-based diet, compared to supporting factory farming of meat and dairy. If you are going to eat meat products, raise them yourself using sustainable practices. Be thankful you have clean water next time you take a drink. Bee Pollen- The perfect food?